WHEN Bec Lancaster-Sully went to her GP complaining of headaches, she never expected to be diagnosed with two aggressive brain tumours. 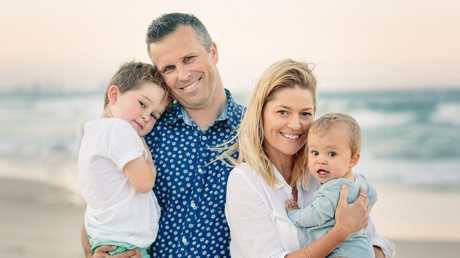 Now, the 36-year-old Gold Coast mother of two is fighting for her life. In the two weeks since having the first tumour successfully removed on January 29 - the day her oldest child Will started prep - the second tumour has quadrupled in size, causing excruciating pain, swelling and partial blindness. Tomorrow, surgeons at Pindarra Private Hospital at Benowa will attempt to "chip away" at the grade 4 primary glioblastoma which cannot be removed because it is on her brain stem. Mrs Lancaster-Sully, an otherwise fit and healthy woman who did pilates three times a week and loved riding bikes with her children, is too sick to be interviewed but her sister Sally Kulig said the delicate operation carried a high risk of death or severe brain damage. "Bec knows the odds but she's a fighter, and she can picture herself running to the top of Burleigh Hill, near their home beside Tallebudgera Creek (Palm Beach)," said Mrs Kulig, 38. "If she pulls through and gets well enough to have radiation, then she might live for six months, otherwise she has four weeks." The shocking diagnosis has gutted the close-knit family, which has already dealt with so much heartache. Mrs Lancaster-Sully and her childhood sweetheart husband Joel Sully, 39, lost their middle child Jasper at 37 weeks when he was "born sleeping". Jasper would have turned three on Monday this week. Their first son, Will, 5, was born premature with two holes in his heart and spent seven weeks in hospital before undergoing lifesaving surgery. Despite her troubled pregnancy history, Mrs Lancaster-Sully, a marketing consultant, wanted to try for a third child, and the couple welcomed Kit, now 16 months, at 34 weeks, without major complications. Six days ago, Mrs Kulig started a Gofundme page to help her sister source additional treatment options, including flying to Sydney to see renowned neurosurgeon Charlie Teo. Already more than $55,000 has been raised, including by anonymous donors pledging up to $1600 each. "Bec was originally given 12 to 18 months, but that's all changed," Mrs Kulig said. "In days her condition has deteriorated like crazy and she's too far gone to look at other surgeons. 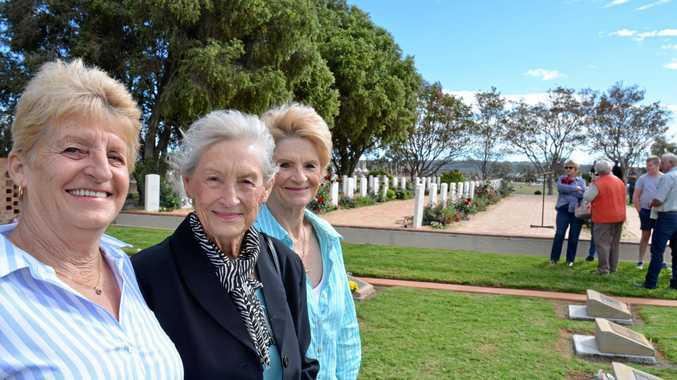 "She has every confidence in Dr (Leong) Tan at Pindarra but she's in a bad way. "Bec is now focusing on the care of her boys; she's not worried about herself at all."